The Conference will take place in the MARE Building of Tallinn University (Tallinna Ülikool). The address is Uus Sadama 5, 10120 Tallinn. While it is possible to enter through the main entrance at Narva Road (Narva Mnt), it is suggested to use the entrance at Uus Sadama because of easier access to Mare Building. When you take a taxi to the venue, let the driver know to take you to Uus Sadama entrance. When arriving by tram (numbers 1 or 3 direction Kadriorg, stop Tallinna Ülikool), you should enter through the main entrance at Narva Road (TERRA Building) and look for signs to MARE Building. Park Inn Central (7C, Narva mnt) is ideally located in the heart of Tallinn at the edge of Old Town. The hotel is 10 minutes on foot from the Port of Tallinn, 15 minutes from the city centre and ca. 3 km from Tallinn airport. Tallinn University is just down Narva road (Narva mnt). It is an easy 10 minutes walk away or one stop by tram (no 1 and 3 direction Kadriorg at Hobujaama stop). Park Inn Hotel allows to cancel your reservation free of charge at least 57 days before the event. Head East on Narva maantee; turn left onto Aedvilja; turn right onto Karu; turn left onto Tuukri põik; turn right onto Tuukri, Turn right onto Uus-Sadama – your destination will be on the right. Nordic Hotel Forum (Viru väljak 3) is a four-star hotel located in the heart of Tallinn within just walking distance from shopping, business and entertainment areas. From Nordic Hotel Forum the approximate distance to Tallinn University is 900 m. You can take a tram no 1 or 3 direction Kadriorg at Hobujaama stop. Nordic Hotel Forum allows to cancel your reservation free of charge 29 days before the event. Head east on Narva maantee; turn left onto Aedvilja; turn right onto Karu; turn left onto Tuukri põik; turn right onto Tuukri; turn right onto Uus-Sadama. Your destination will be on the right. Center Hotel (Narva nmt 24 / Kreutzwaldi 2) is an affordable and simple hotel, which is located in the center of Tallinn. Hotel is the nearest to Tallinn University, it takes about 3-5 minutes to the main building (TERRA) of the university. From the hotel it takes a 15-minute walk to a beautiful Old Town and famous Kadriorg Park, 10 min drive from Tallinn airport and 7 min from Bus station. A single room is approximately 60-80 EUR per night. Cross the road in front of the hotel and head east on Narva maantee about few hundred meters to the Tallinn University TERRA building. Walk through the building and follow the signs to find MARE building. Alternatively after crossing the road you can turn left onto Karu street, turn left onto Tuukri põik, turn right onto Tuukri, turn right onto Uus-Sadama – destination will be on the right. City Hotel Portus (Uus-Sadama 23) is an simple hotel, which is located in the center of Tallinn, harbor. Old town and Tallinn University are both close to the hotel. A single room is approximately 70 eur per night. Come along the Uus-Sadama street, cross the Tuukri street and Mare building is ahead. The taxi ride from the Airport to the city centre (hotels or conference venue) should not cost more than 10 EUR. You should ask for the approximate price when entering the taxi and make sure the driver uses the taxi meter. It is also possible to take the bus (number 2) which will take you directly to Nordic Hotel Forum (stop Laikmaa). The cost is 1.60 EUR when paid with the driver. You can buy prepaid tickets in the kiosk at the Airport for 1 EUR for single trips, as well as many different other ticket options. Plan your trips through the public transport portal. More Information on finding your way around can be found at the Tallinn Tourism Portal. Make sure to visit the Tallinn Tourism Portal with lots of information on the city. 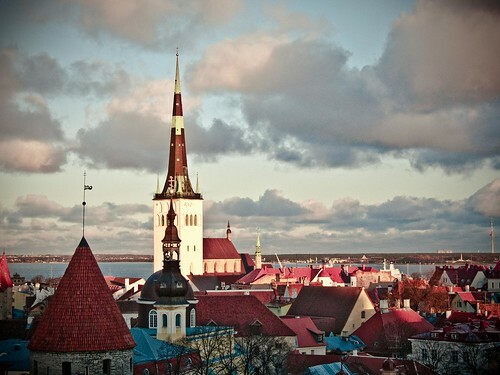 Tallinn, the capital of Estonia, is one of the most popular tourist destinations and cruise stops in the Baltic Sea. Located on Estonia`s northern coast on the Gulf of Finland, only 80km south of Helsinki, Tallinn has been a meeting point from its very early days. Tallinn sits at the crossroads between East and West, which has marked its development since it’s blossoming as a Hanseatic town. The Hanseatic days are brought to mind in Tallinn`s proud merchant houses from 14th – 16th Century, the nearly 2-km-long town wall, reaching a height of 16 metres in places, the needle-sharp church towers, the majestic Town Hall and the imposing Great Guild House. 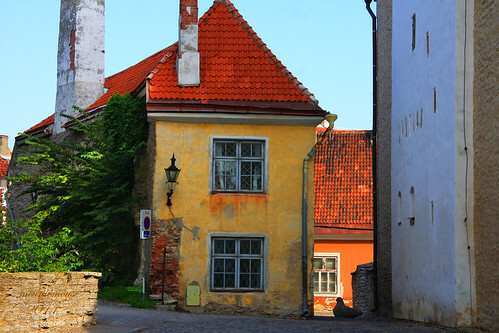 Despite devastating wars throughout the history, Tallinn`s Old Town is one of a few places in Europe where the fairy tale of medieval walls, turrets, spires and winding narrow cobblestone streets has remained mostly intact. In 1997 UNESCO added the Old Town into the World Heritage List, acknowledging its unique value and noting the importance of preserving it. Tallinn is a maze of contrasts – medieval and yet dizzingly dynamic, small, but still very lively in its heart, buzzing with visitors and businesslike locals, but quite easygoing and relaxed. Today Tallinn is viewed as a town of culture both on local and international arena and the economic hub of the new Northern Europe combining the Nordic countries and the Baltics. 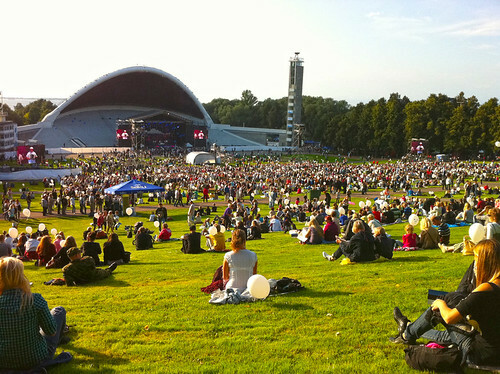 Together with the city of Turku in Finland, Tallinn is European Cultural Capital in 2011. Estonia is part of the European Union and has joined the Euro zone in 2011. It is also possible to take the bus (number 2) which will take you directly to Nordic Hotel Forum (stop Laikmaa). The cost is 1.60 EUR when paid with the driver.